Moses Fell left his home in Uniontown, Fayette County, Pennsylvania in 1818 and made his way to the newly formed Lawrence County, Indiana. He was commissioned as Lawrence County sheriff from 1822, and again on November 25, 1824. When the county seat moved from Palestine to Bedford, landowners received lots corresponding to those they had owned at Palestine. Moses Fell's new home was located on the southwest corner of the square. Fell operated a general store, served as School Commissioner, opened a cotton factory in the mid-1830s, helped finance Bedford's first newspaper The Western Spy, and was the leading stockholder in a bank established in 1834. 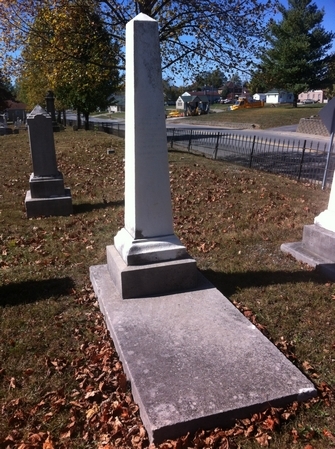 Moses Fell and his wife were parents of eight children, including Julia Ann (Fell) Dunn.